WAIT!! YOU HAVE FOUND A VILLA THAT IS HAVING 2 NIGHTS FREE!! Terms and Conditions: Free nights are valid for new bookings made now to 4/19/19 for travel 4/27/19 to 11/15/19. Pay for 5 nights stay for 7! 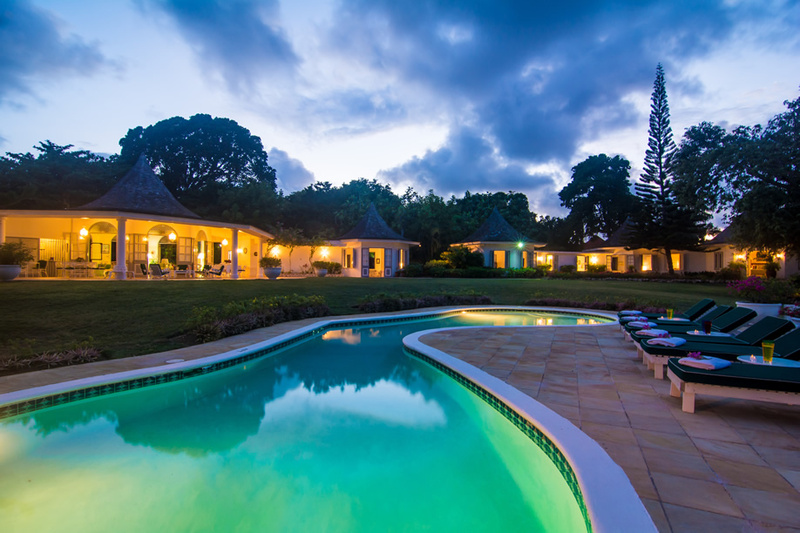 Wonderful 5 bedroom villa - very family friendly! Beach Membership for all guests! 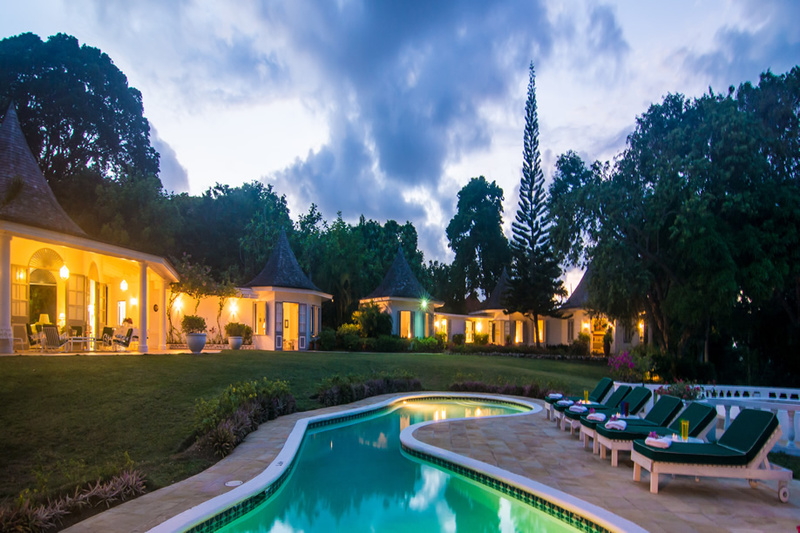 Half Moon Resort membership for all guests staying at Pavilion Villa. 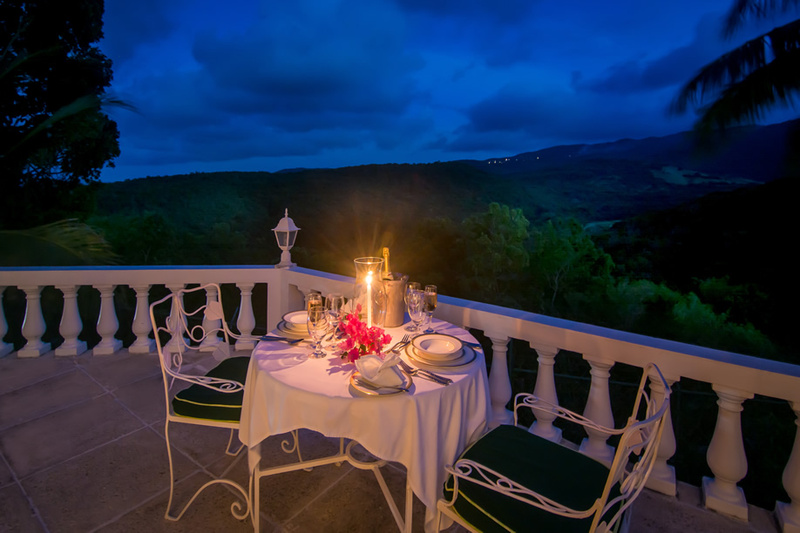 Pavilion Villa in Montego Bay is a beautiful Jamaica villa privately positioned at the end of a cul-de-sac, offering glorious views of the glittering Caribbean Sea on one side and a serene ten mile expanse of mountains on the other. 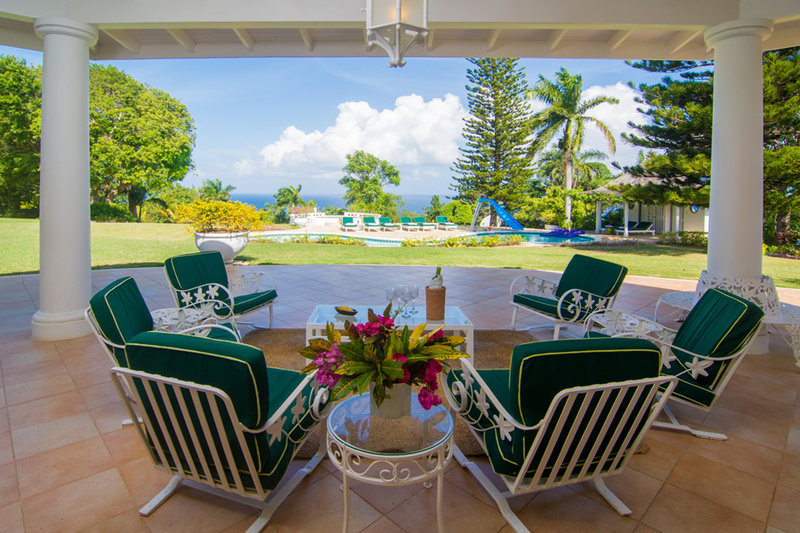 Spacious, peaceful, quiet and beautiful, Pavilion Villa is one of the most popular villa rentals in Jamaica, located on four acres above the 400 acre Half Moon Championship Golf Course. 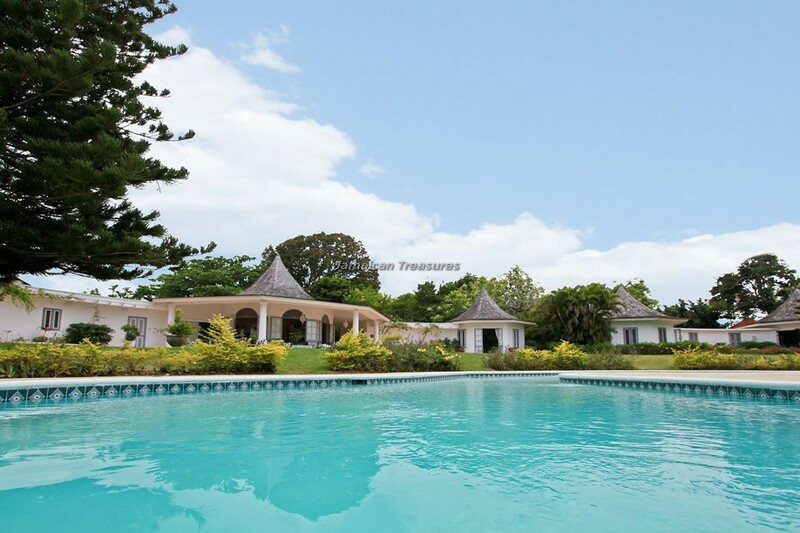 Pavilion Villa has one of the most unique architectural designs among villas in Jamaica, comprising five octagons in individual wings. 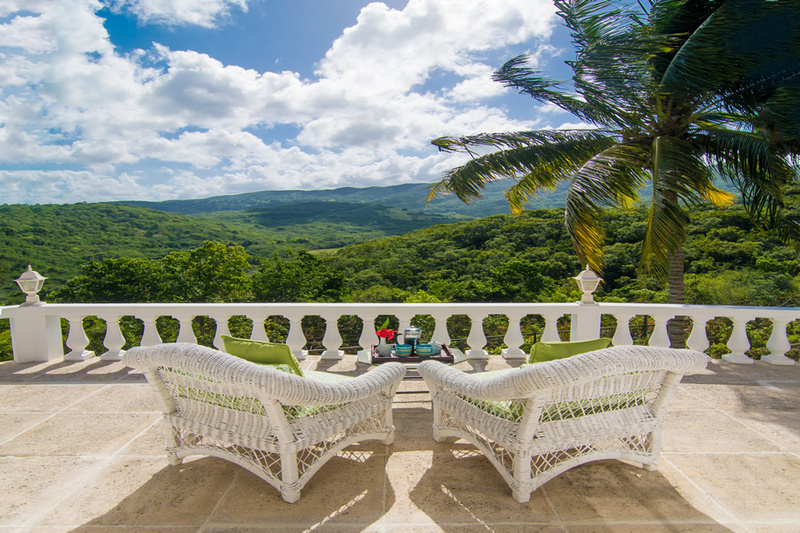 The living room, entertainment center, dining verandah, kitchen and two bedrooms are located within the east wing. Three spacious bedrooms form the west wing. 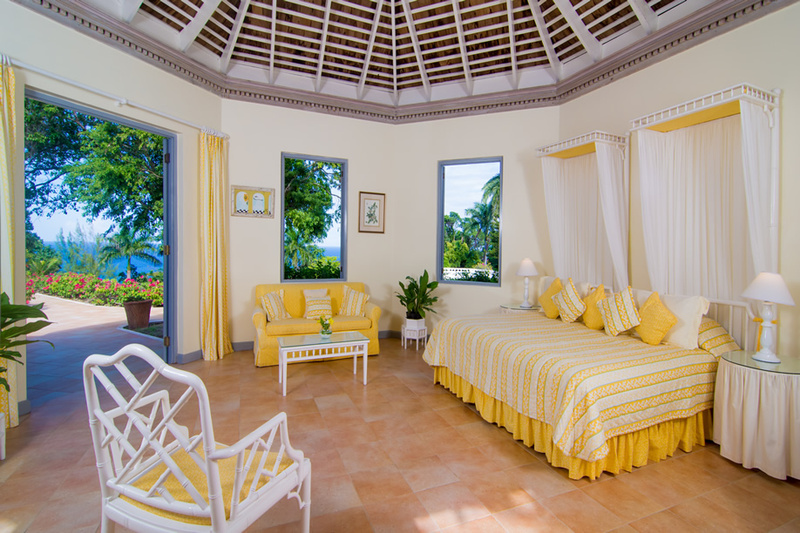 All five bedrooms are very spacious and luxuriant, with beautiful décor and lovely furnishings. The exposed rafter and beam peaked ceilings have been designed to provide magnificent views through louvered windows and French doors, all opening on to the terrace and lawn. 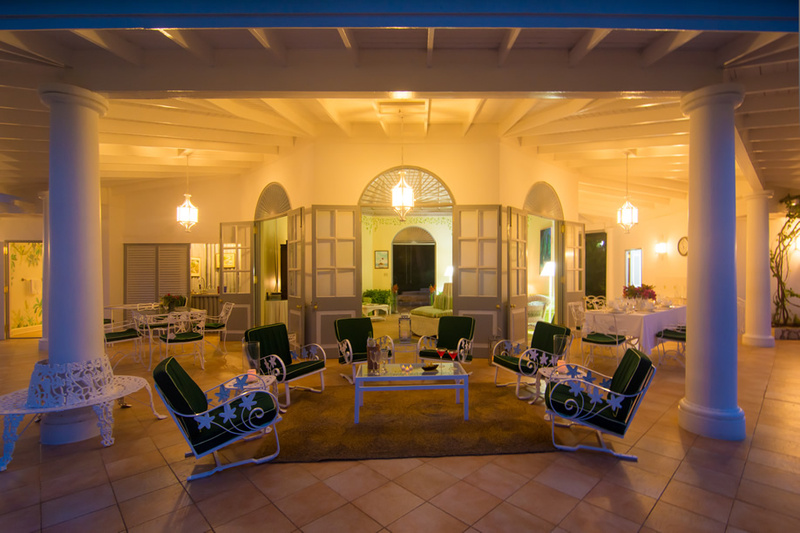 The main verandah at Pavilion Villa is an excellent place to relax and reconnect with friends and family. Apart from some comfortable chairs for simply lounging, a glass top dining table is also available for meals. The bamboo poolside bar is placed very conveniently next to the verandah. 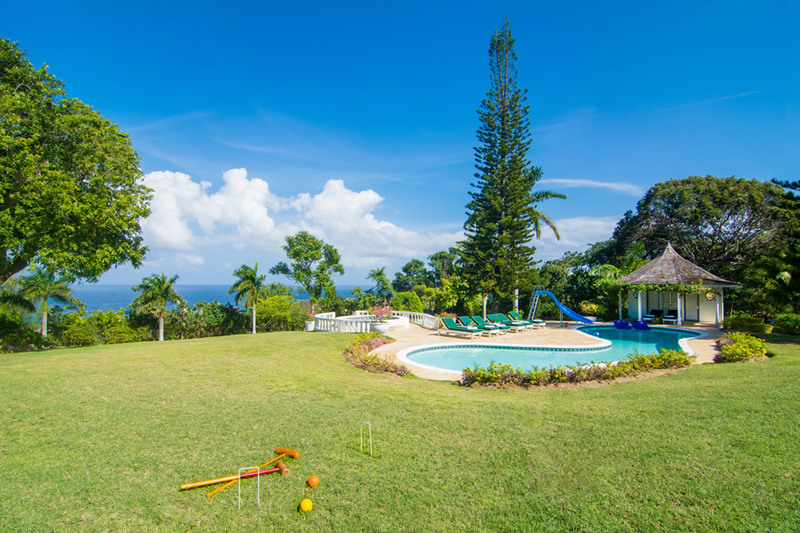 This area provides fabulous views of the well-maintained lawns, the swimming pool and the deep blue ocean beyond. The kidney shaped swimming pool with a water slide is a few steps across the grassy lawn. The outdoor Jacuzzi is right next to the pool and is sufficiently large to seat fifteen persons comfortably. The outside sound system provides music for this area. 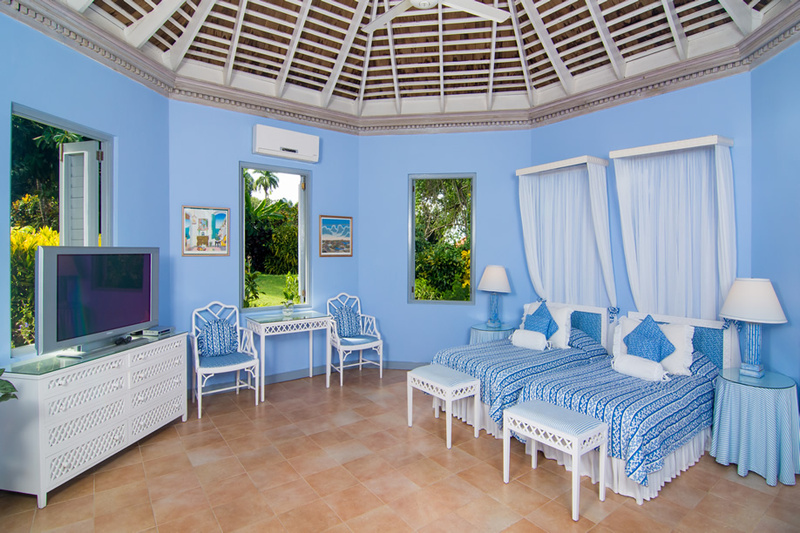 The cabana that houses the television, DVD play, CD player and Playstation 2 is nearby, while wireless internet access is available all through the Pavilion Villa. 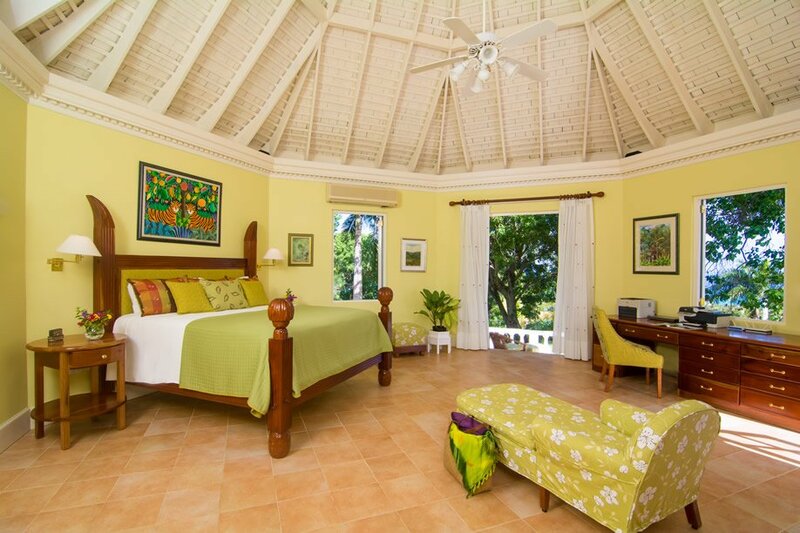 The five bedrooms at Pavilion Villa are very spacious and beautifully furnished. One master bedroom opens on to a private patio with fabulous views of the deep blue ocean, while the second one opens on to a porch with the lovely blue-green mountains in view. 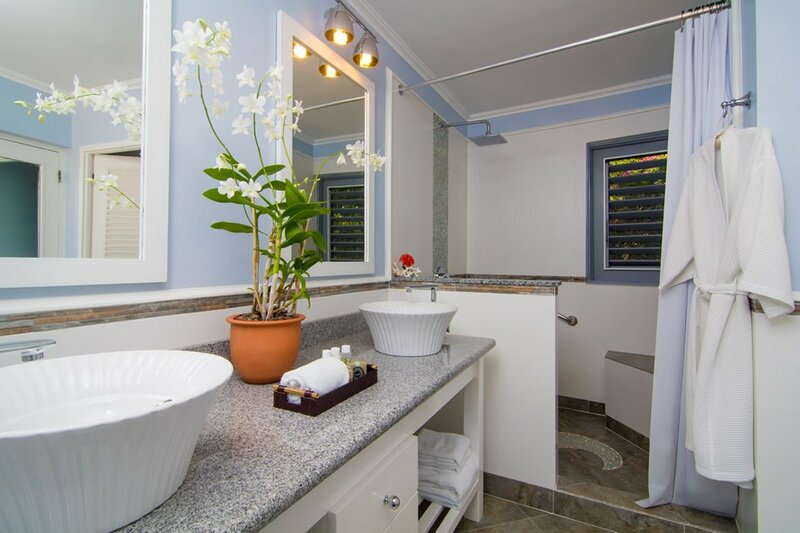 Furnished with king-sized or twin beds, each of the five rooms is air-conditioned and has an en suite bathroom. Three of the rooms offer cable television, DVD and CD players and surround sound. 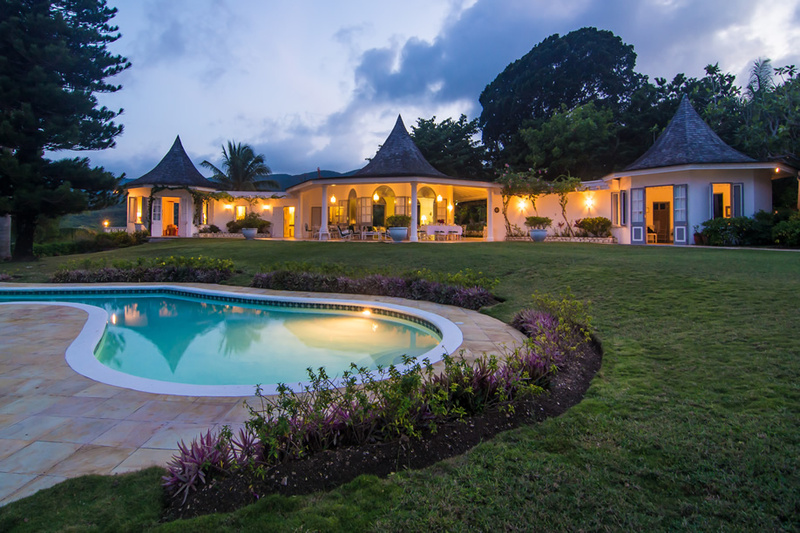 Additional accommodations include four trundle beds for four children, making the villa very suitable for families with children. 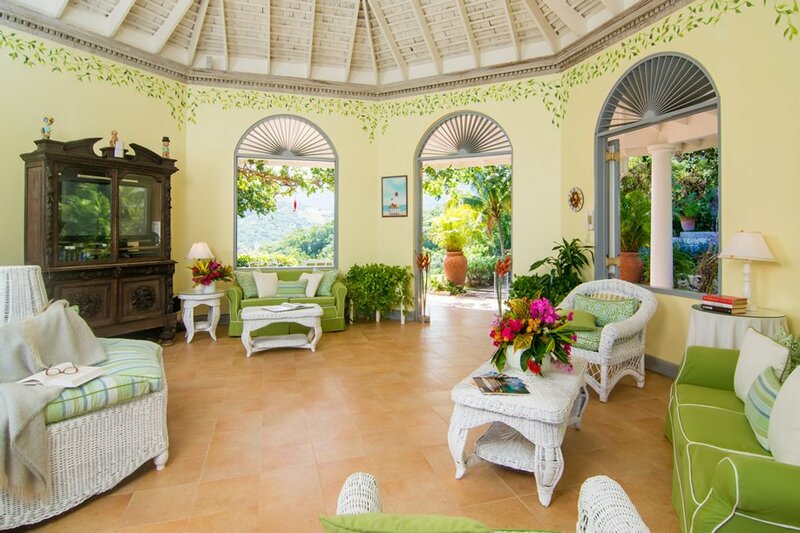 Pavilion Villa is fully-staffed with a cook, housekeeper, butler, gardener and laundress. 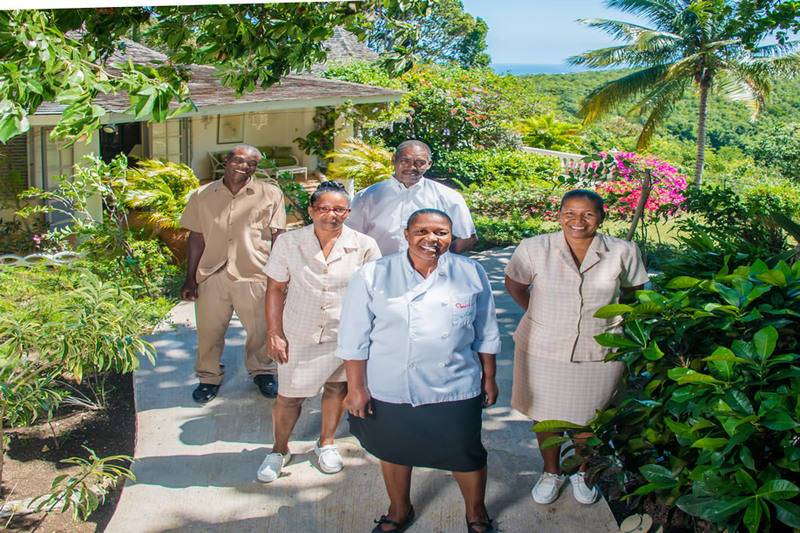 These five private staff members will ensure that the guests’ every wish and desire is fulfilled in a flawless manner. Iona is an expert chef and offers personalized meals according to the guests’ requests. Glenford is possibly one of the most efficient butlers ever and serves food, mixes drinks and fulfils other miscellaneous requests impeccably. Annette and Sandra manage the cleaning and laundry meticulously. 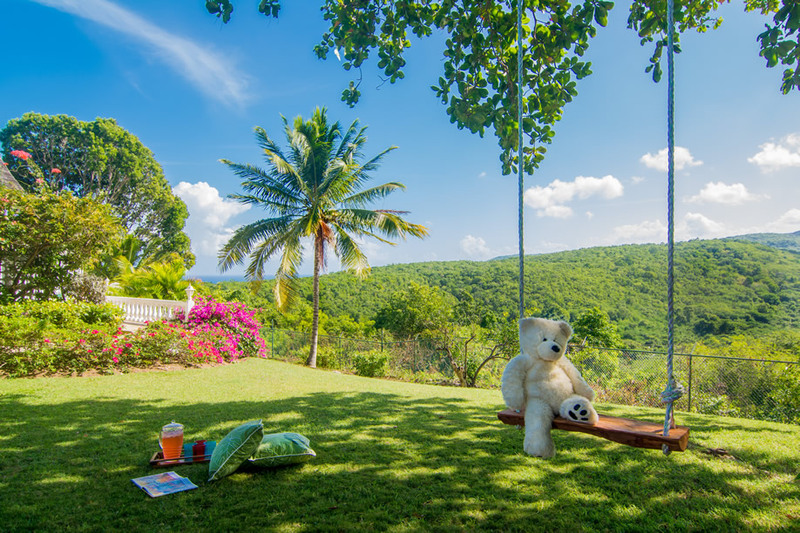 Trevor is the extremely talented gardener, responsible for the vibrant flowers and the lush green grassy lawns at Pavilion Villa. The guests can leave everything else to the expert staff, focusing only on enjoying themselves to the fullest. The world class Ritz Carlton Hotel is only five minutes’ drive away from Pavilion Villa for some brilliant dining options and several superb shops. 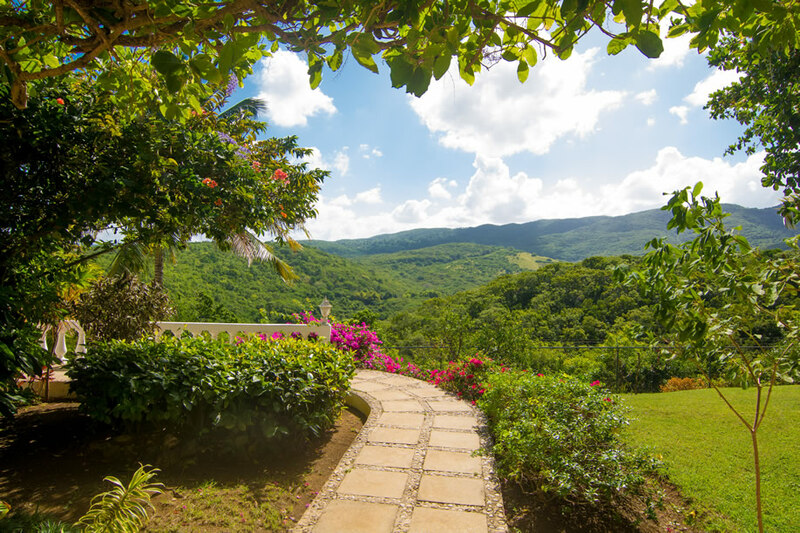 The vibrant Montego Bay and the Hip Strip are nearby too. 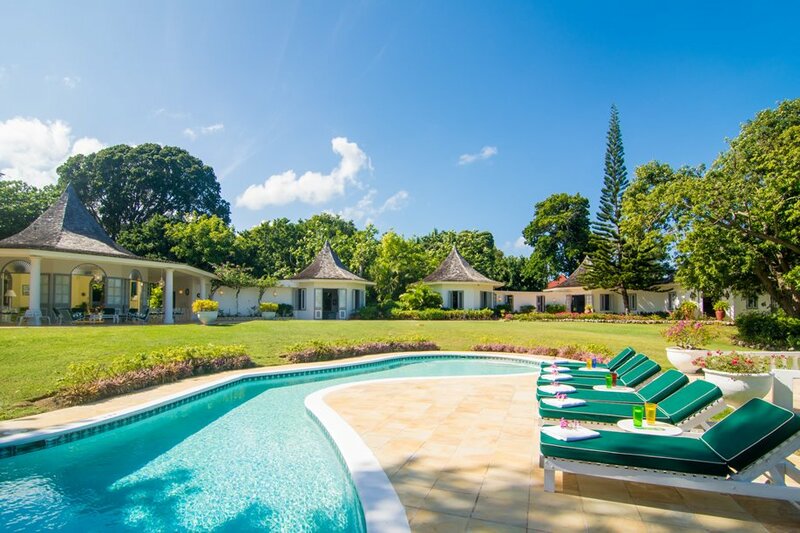 Half Moon Resort offers an amazing private beach, water sports, food and beverage options, dolphin lagoon and fitness center, and is only five minutes from Pavilion Villa. Kingsize bed, en-suite bath with bathtub, separate walk-in shower, bidet and double vanities. Entertainment center with DSS television, VCR, DVD, CD player and surround sound. Connects to Bedroom 4 through a passageway that contains a trundle bed for two children. Opens to private patio and ocean view. Spacious suite with kingsize bed, DSS television, DVD/CD player and surround sound. 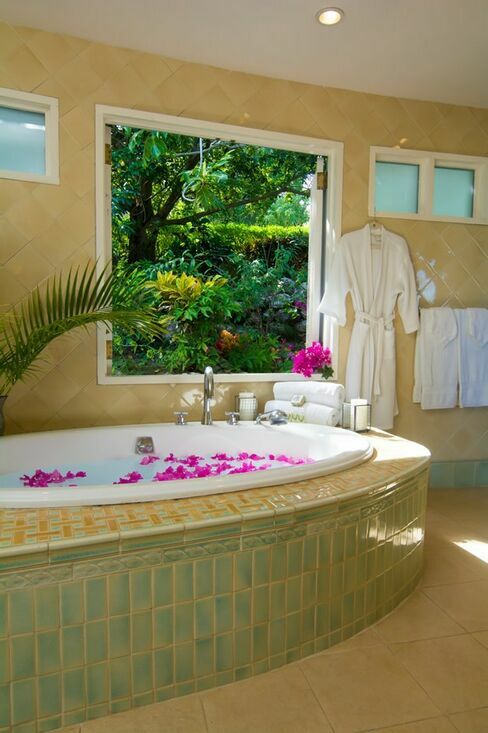 Large bathroom with bidet and sunken tub. Adjoining dressing room with trundle beds for two children. Private porch with lovely mountain view. 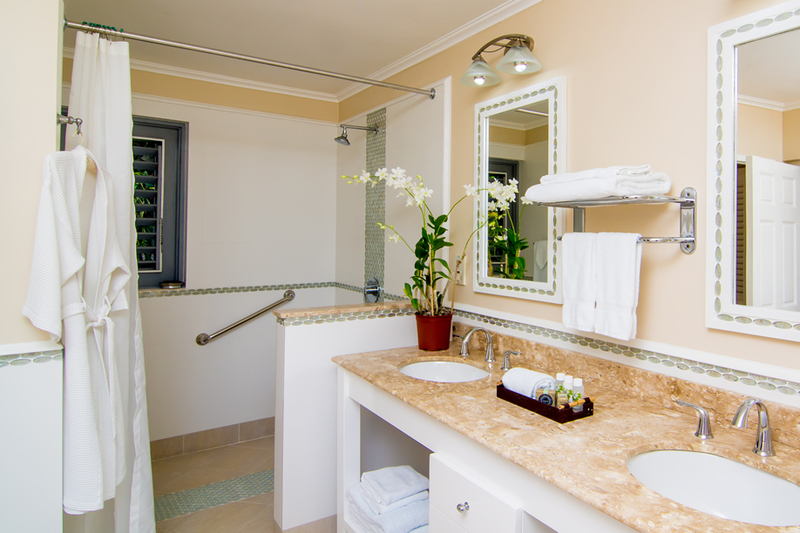 Kingsize or twin beds at guests' option, en-suite bath with bidet and sunken tub. Adjoining dressing room. 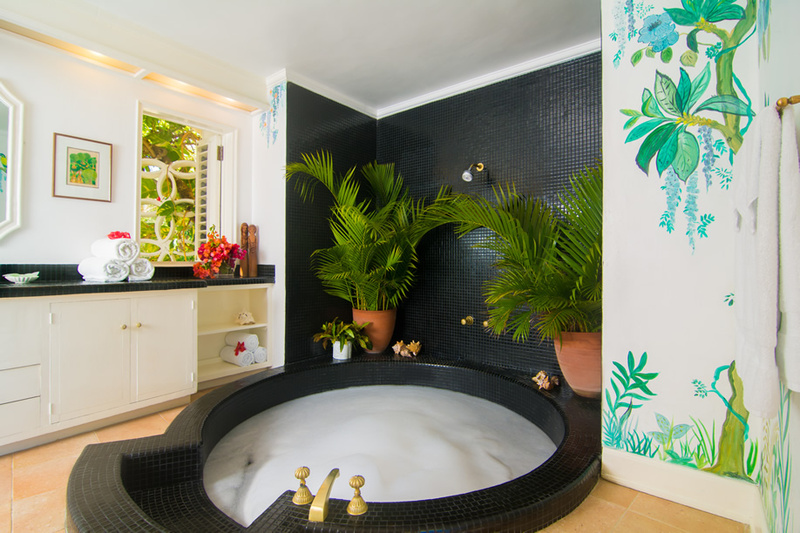 Kingsize or twin beds at guests' option, en-suite bath with bidet and sunken tub. Adjoining dressing room. Connects to Master Bedroom through a passageway that contains a trundle bed for two children. 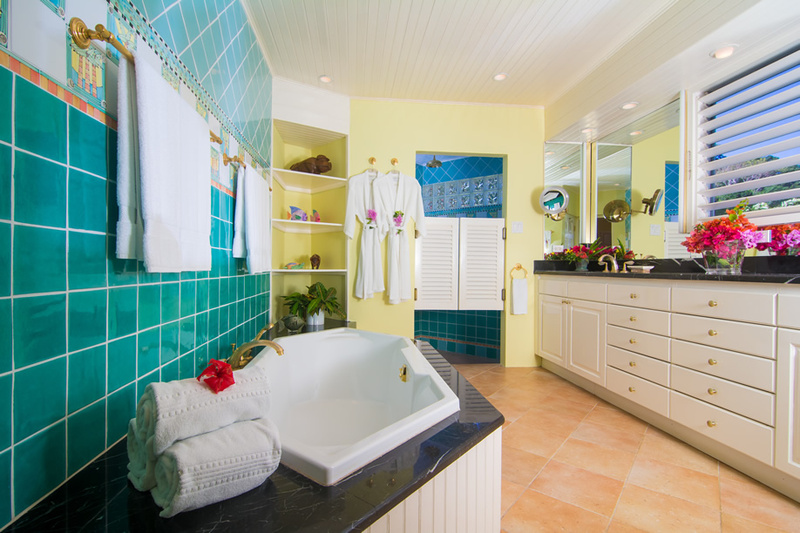 Kingsize or twin beds at guests' option, en-suite bath with double vanities, step-down shower, tub and changing area. Entertainment center with DSS 42" Phillips Plasma television, DVD, CD player and surround sound. 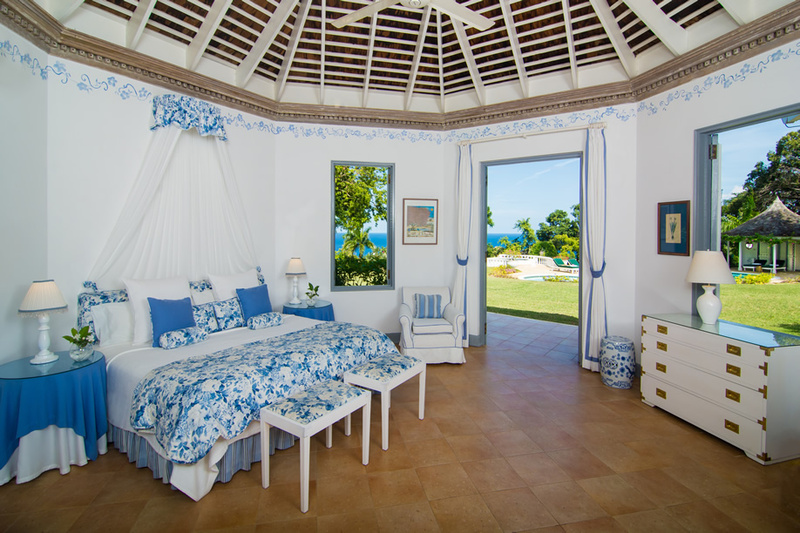 ***Please note - an additional 4 guests can occupy the villa in the trundle beds in passageways between bedrooms. Rate is $400/wk additional to have 10 guests + 4 additional guests. These 4 additional guests are normally children. 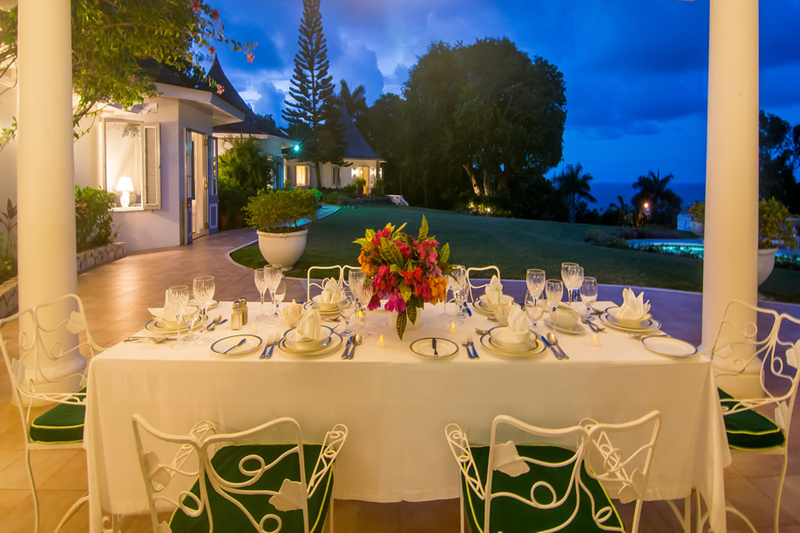 Please inquire if you have more then 10 guests in your party and are interested in staying at Pavilion. Resort Beach Membership to Half Moon Resort for all guests staying at Pavilion Villa. This membership offers the following to our guests.